Brushed finish spokes (front and back) with a "slot" design centered on each. Unique “V” shape genuine wood grip with sculpted finger grips and finished with a hand rubbed light walnut stain and polyurethane clear coat. 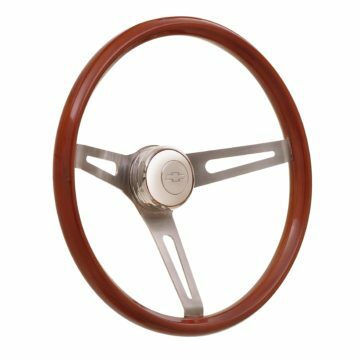 3-bolt mounting pattern, can be used with any GT3 installation hubs and GT3 horn buttons. 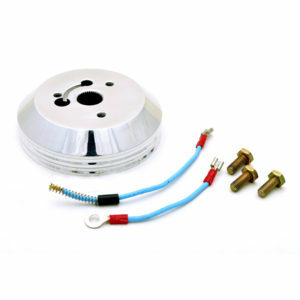 This 3-bolt mounting pattern is interchangeable with any standard 3-bolt hub or horn button.